The dynamism in the CA Immo office rental markets remained at a record high again in 2018, as the company now records full occupancy of its existing portfolio, mainly in Germany (99% occupancy rate), Czechia (99%) and Poland (96%). Demand was particularly strong for the mostly German office development projects, for which CA Immo was able to conclude large-volume, long-term pre-leases, some of them more than one year before completion. 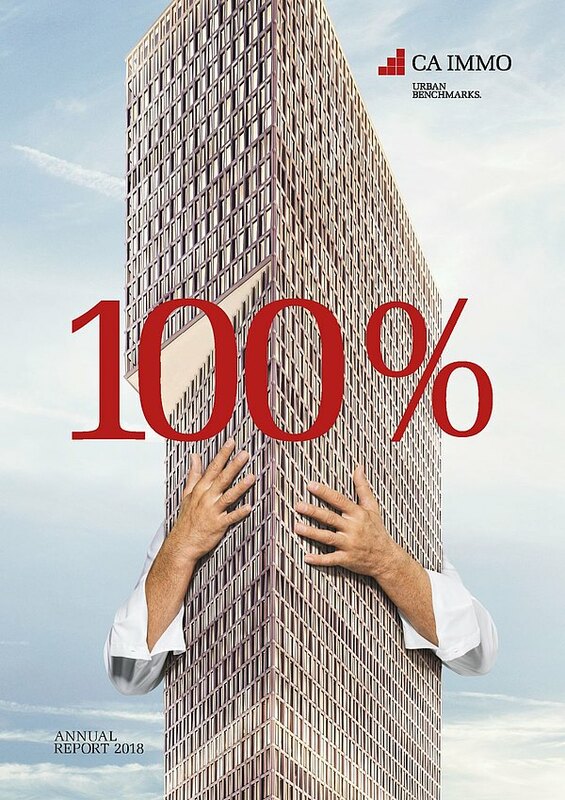 In the second half of 2019 CA Immo will complete three office buildings in Berlin, all of which have already posted high pre-letting rates between 70 and 100% (occupancy rates: preliminary figures as at 31 December 2018). Andreas Quint, CEO of CA Immo: "In 2018 we were able to strengthen our already very high occupancy rate in our international investment portfolio and with it our current rental income in the long term. Including the three Berlin office projects where we have achieved an excellent pre-letting level and which we will complete this year – two of them for our own portfolio – we are well prepared to reach the financial growth targets that we have set ourselves." The main hotspots of letting activities were Berlin, Munich and Budapest, where CA Immo recorded particularly strong demand and, in some cases, rising rents for both its existing buildings and development projects. In Berlin and Munich in particular, the increasingly scarce supply of office space has a noticeable effect on prices. The traditionally highest letting performance in terms of existing space was recorded in Central Eastern Europe at just under 20%, with one of the reasons being shorter contract terms customary in the market and thus many contract extensions in CEE. The strongest letting performance by country was achieved in Budapest and Bucharest. Altogether, more than 80,000 sqm were rented out in the two cities in 2018, including large lettings to Vodafone and Thales Systems. Internationally, the largest-volume single new lettings were concluded in Berlin, Munich and Vienna, all on a long-term basis: International software provider JetBrains leased 12,600 sqm in the Munich office project MY.O, which is expected to be completed in the first half of 2020 and is already more than 80% pre-let. In Vienna, Volksbank Wien leased around 14,000 sqm of office space in the office building located at Haidingergasse 1-15 from 2019 on, and stock-listed financial services provider Hypoport AG concluded a lease agreement for around 8,500 sqm in the MY.B office project in Berlin, which is scheduled for completion in the fourth quarter of 2019. In the 2018 financial year, CA Immo let a total of 230,000 sqm of lettable space in 8 countries, of which 25% (approx. 57,000 sqm) related to pre-lettings of projects under construction. 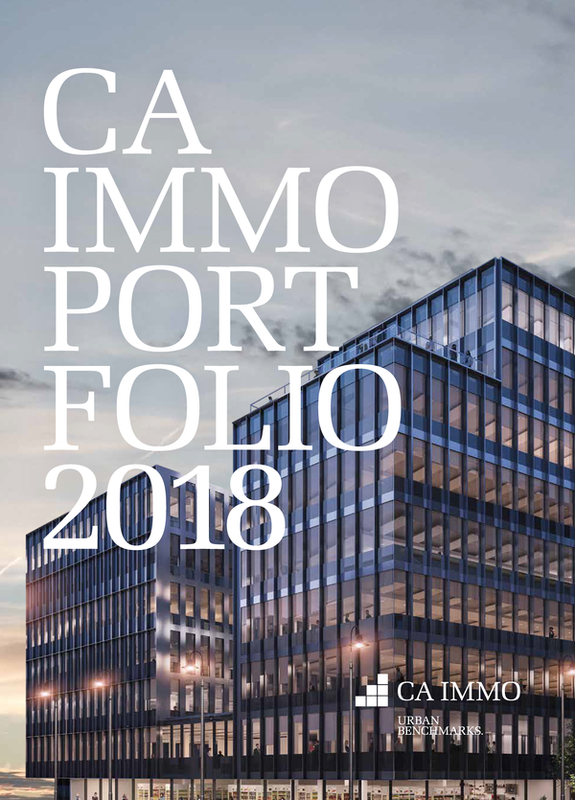 Excluding these project pre-lettings, this represents a letting performance of around 14% measured against CA Immo's total investment portfolio of around 1.2 m sqm rentable area. 52% of the portfolio letting performance is made up by new lettings, the remainder by contract extensions of existing tenants. Office space accounted for more than 90% of the leased space. The CA Immo income producing portfolio worth around € 3.4 bn is characterised by large, inner-city office properties (nearly 90% share in the total portfolio) in Central European metropolitan cities. Around 49% of the portfolio is located in Central Eastern Europe, 35% in Germany and 16% in Austria. At an occupancy rate of over 94%, the portfolio is almost fully let. Close to 80% of the office buildings received sustainability certificates according to DGNB, LEED or BREEAM. Including property assets under development (projects under construction and land reserves), CA Immo controls property assets worth around € 4.1 bn (occupancy and certification rate: preliminary figures as at 31 December 2018; all other key figures as at 30 September 2018).